If you still haven’t played Mafia III, you’re all out of excuses. Now is your chance to try out the game the Washington Post called “A cultural milestone” and won the Herman Melville Award for Best Writing from the New York Videogame Critics Circle – for FREE! Got your attention? Keep reading for more details. 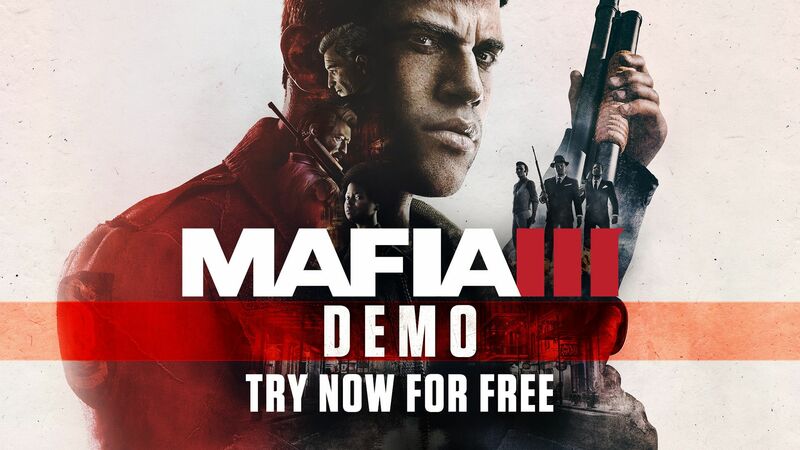 Go on, we want you to enjoy a little bit of Mafia III’s southern hospitality for yourself, on the house. The opening act – centering on an incredible bank heist sequence – sets the stage for the rest of the Mafia III story. Discover Lincoln’s history with the mafia and witness the catalyst for this gritty tale of revenge against the Italian Mob. Best of all, you can play the whole opening act of Mafia III, enjoying the awesome story at your own pace. It’s available right now to download for free on all available platforms, and if you like what you’re seeing, your saved progress will transfer to the full game when you purchase it on the same platform. More great news for first-time players: Participating retailers (both digital and retail) are selling Mafia III for 50% off now through April 17! Check your favorite retailer for more. Today’s other big news: The “Faster, Baby!” DLC is also available, starting today. (You can read more about that here.) The Deluxe version of Mafia III, which is bundled with the Season Pass, includes “Faster, Baby!” as well as the upcoming “Stones Unturned” and “Sign of the Times” DLC. So, if you already purchased the Deluxe version or the Season Pass, no other purchase is required – just get to downloading. Speaking of downloads, just how big is this free taste of New Bordeaux? If you’ve never been – welcome to New Bordeaux, we’ve got a free room waiting for you. We hope you enjoy your stay.